I’ve been staying in hostels in Europe for over twelve years. I’ve probably stayed at close to a thousand by now. Some were wonderful; others I couldn’t leave quick enough. Some have stood the test of time while others have long since vanished. 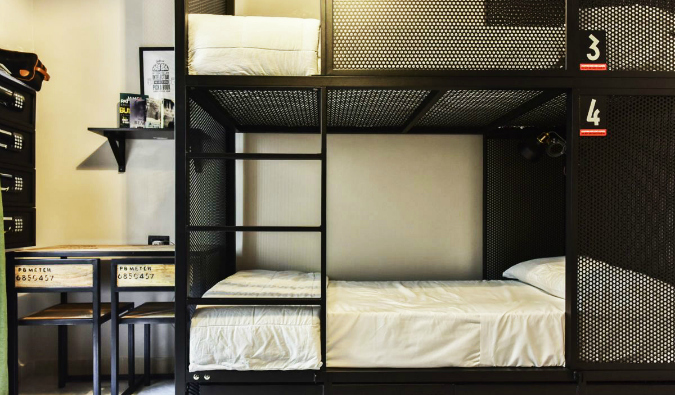 The hostel scene is very popular and established in Europe, and the growing “luxury” hostel trend that incorporates more amenities (and higher prices) for travelers. Hostels today aren’t the hostels you found ten years ago. They are way nice and offer a lot more amenities! 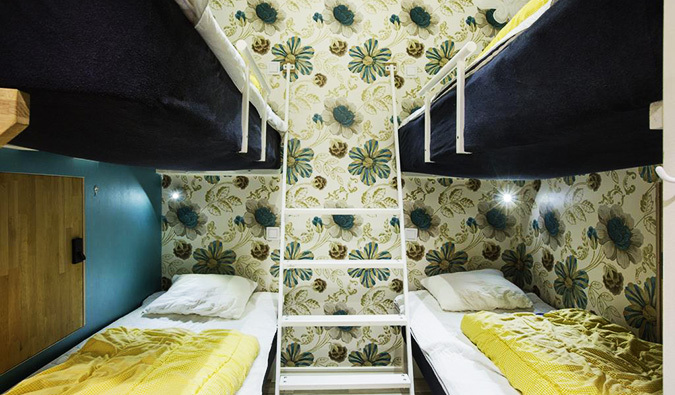 —> Book your stay at Generator Hostel in Dublin! 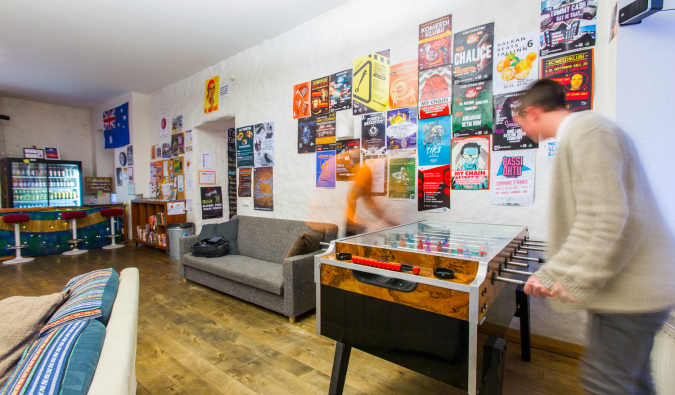 —> Book your stay at Generator Hostel in Copenhagen! I stayed here years ago and recently returned when my tour group was in Stockholm. The place was just as amazing as I remember. They still have a very nice café and an outdoor eating/sitting area. Their beds and pillows are still super cozy and comfortable, plus they have a huge kitchen, common room, sauna, and laundry facilities. And you can’t turn a corner without bumping into a public computer. 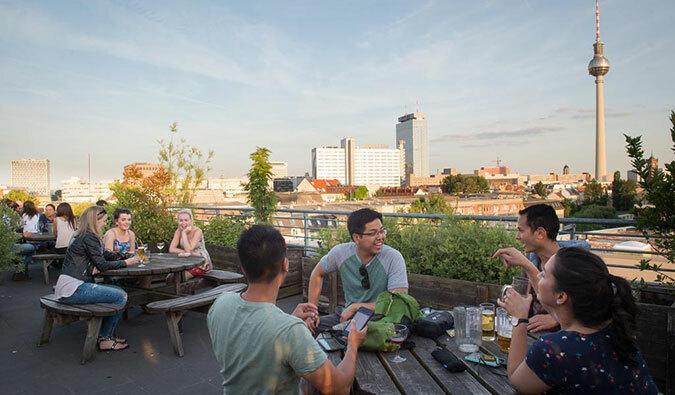 City Backpackers was and still is one of the top hostels in Europe. —> Book your stay at City Backpackers! Located right near La Rambla, everything about this place is brand new since the hostel just opened in the summer of 2013. I really love the curtains on the dorm beds and the gigantic bar/outdoor area next to the hostel. In general, I really like the St. Christopher’s brand. 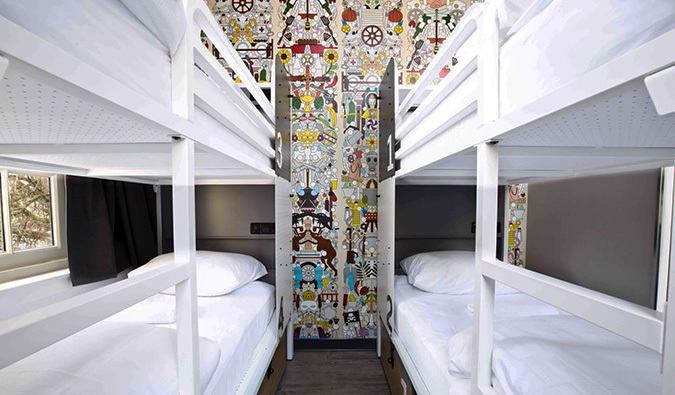 They offer fun, clean, sociable, and modern hostels all over Europe. —> Book your stay at St. Christopher’s! This is still one of my all-time favorite hostels. The facilities here are standard and the price a bit expensive, but I love the atmosphere. 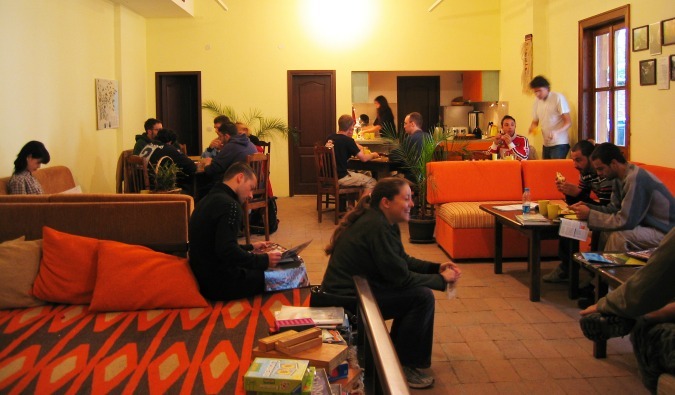 While this hostel is popular with travelers looking to chill and smoke, the bar area gets very busy at night with people who don’t want to get high. The staff here is what really makes this place special. They hang out with guests, are experts on the city, and are always helpful. Moreover, this hostel has some of the comfiest beds and fluffiest pillows of any hostel I’ve ever stayed at. The Flying Pig has three locations in the city (uptown, downtown, and the new beach location), and I prefer the uptown location because it’s smaller and easier to meet people. —> Book your stay at The Flying Pig! I stumbled across this hostel in Lisbon (mostly because it was super cheap), and I’m really glad I did. Conveniently located downtown, they offer free dinner and sangria, and they organize nights out. There’s a small common area, and the showers had amazing water pressure. 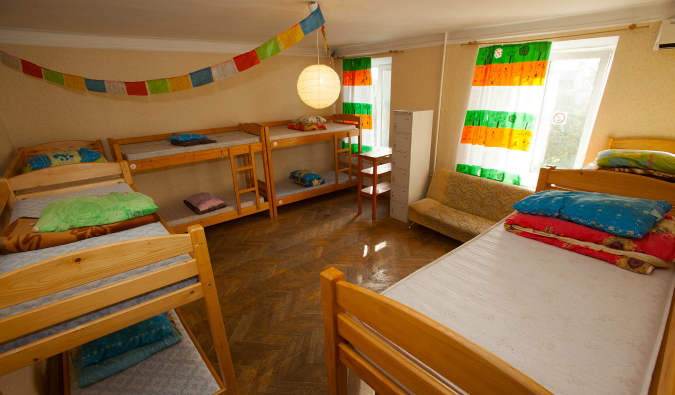 This small hostel becomes very intimate and makes it easy to meet fellow travelers. This was one of the best hostels I stayed at during 2013. —> Book your stay at Goodnight Hostel! My second favorite hostel in Stockholm after City Backpackers, this place was remodeled in 2013 and has a brand-new, larger kitchen and common area. They really did a good job, and the kitchen is one of the nicest I’ve seen in a hostel in a long, long time. The hostel is quite small overall, but that provides a close-knit setting for getting to know other travelers. —> Book your stay at Skanstull! 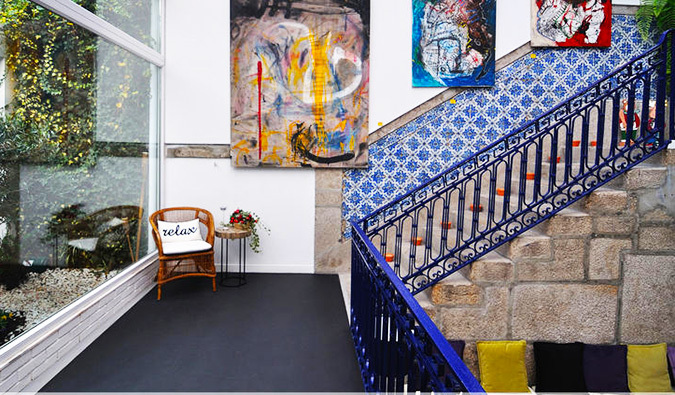 This “luxury” hostel in Porto, Portugal, is probably one of the best I’ve ever stayed in and is definitely a new addition to my “all-time favorite” list. It’s not the cheapest in Porto, but this hostel/art gallery features home-cooked Portuguese food, a backyard, free after-dinner drinks, a game room, and friendly staff committed to making sure everyone gets to know each other. The art on the walls is from local artists and is for sale (for those not traveling on a budget). I loved the nightly dinners they organized the best. 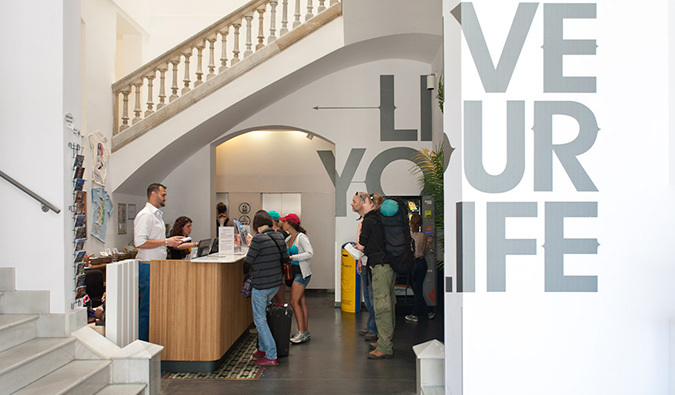 —> Book your stay at Gallery Hostel! This hostel has locations in three cities in Bulgaria (Sofia, Plovdiv, and Veliko Tarnovo), and they all follow the same principles: comfy beds, free breakfast, free dinner, free beer, free shots, a pool table, and free, fast Wi-Fi. I honestly haven’t ever seen a hostel offer so much free stuff to travelers. Usually everyone stays at all the Hostel Mostel locations, so you run into the same people frequently. I found them booked up a lot, so book in advance if you want to stay here. —> Book your stay at Hostel Mostel Sofia! 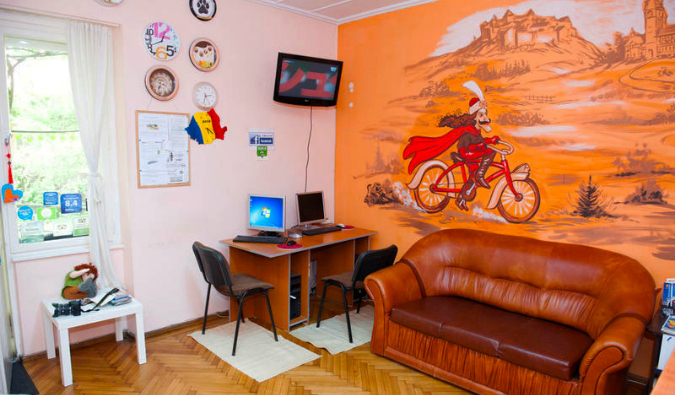 —> Book your stay at Hostel Mostel Veliko Tarnovo! Probably the best hostel in Romania, it had a great backyard to relax in, a fairly decent breakfast (Frosted Flakes! ), a large and clean kitchen, comfy rooms, and a huge common area. I didn’t like the showers, as there wasn’t a lot of privacy (think gym style) but overall, this place is social, in a good location, and checks all the right boxes on meeting a traveler’s needs. The Yellow is just a fun hostel. There’s no common area, so everyone hangs out in the bar downstairs. People come here to socialize and party. It’s a loud hostel in that respect, but since the party is separated from the main area, you don’t really hear much in the rooms. They have great security, high water pressure in the showers, comfy beds, and decent enough Wi-Fi. They also run walking tours throughout Rome. This hostel is for those who want to come to Tallinn and party, which I didn’t really do while I was there. But I still found the hostel to be wonderful, because the beds were comfortable and the staff really put an emphasis on getting the guests get to know each other and interact. They do a nightly pub crawl, before which everyone gets together in the large common area (which they shut down at 11pm, so people who don’t want to go out can get some sleep). —> Book your stay at Tallinn Backpackers! Because I like to book things last-minute, I had to switch hostels a lot during my stay in Tallinn. 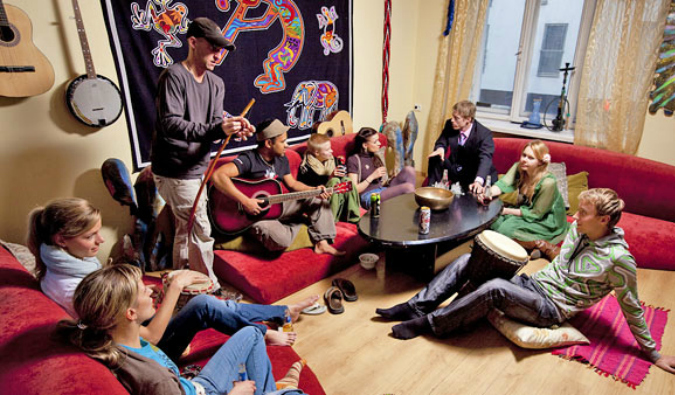 While Tallinn Backpackers is a great place for the party scene, Euphoria is perfect for relaxing. Owned by some hippies, this place has a relaxing feel. There’s a lot of colorful art on the walls, bean-bag chairs, soft music, and a quiet atmosphere. It was a good change from Tallinn Backpackers. Plus, I really enjoyed the fact that the owner’s band plays a free concert every week. —> Book your stay at Euphoria! Not so much a hostel as a series of apartments in the same building, Central Station is a true hostel’s hostel. It’s got gigantic dorm rooms, a few showers, a tiny kitchen, and a little common area. It’s mostly the spirit of the place that makes it cool: activities every night, really friendly staff, and that tiny space that forces everyone to socialize and meet each other, not just sit behind their computers. I came here on the strength of a friend’s glowing recommendation. What I liked about this hostel was that on the one hand, there’s a strong focus on taking full advantage of Krakow’s lively nightlife. On the other hand, they have two separate buildings, so if you want quiet at night, you can stay in the non-party building. They offer free breakfast, they cook you a meal every night (salad, potatoes, pasta, or meat), they have Nintendo Wii and Playstation, and there’s a large movie collection. But what I loved the most was the massaging showers. It was the best shower I took in months. —> Book your stay at Greg and Tom’s! 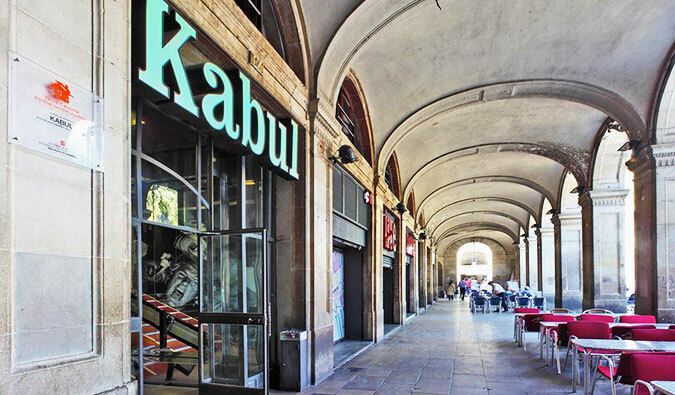 Kabul is tied with The Flying Pig (see next hostel) as my favorite hostel in Europe. It attracts travelers who are looking for a good time. This isn’t a quiet hostel where people go to bed. If you come to hostel, be prepared to party. They have a lively common room area and organize nightly outings. The dorms are very clean, the beds comfy, and the showers high pressure. But what makes Kabul so wonderful is the downstairs common area. The common area takes up a whole floor of the building and comprises a café, bar, tables, internet kiosks, and a pool table. Here travelers eat, play pool, drink, and hang out – and the people here want to hang out. It’s a good hostel for a solo traveler because everyone here wants to make friends. The hostel is booked out weeks in advance, especially during summer, so don’t book last minute! —> Book your stay at Kabul! They had me at breakfast. I’ve never been to a hostel that had a menu for breakfast. You can get eggs, bacon, toast, pancakes- the works. It’s not the normal European bread and coffee breakfast that makes me sad in the morning. It’s a full on hearty breakfast! 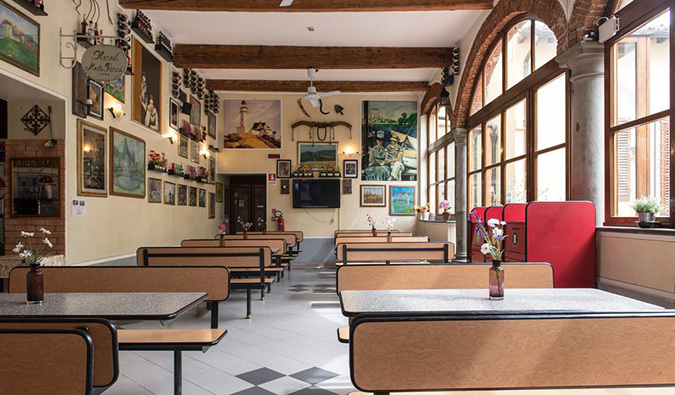 More than the food, the hostel has character. You can sign your name or draw on the wall, their kitchen is a size of a cafeteria, and they have a great outdoor garden where you can kick back with a bottle of wine! And did I mention they have a full breakfast? 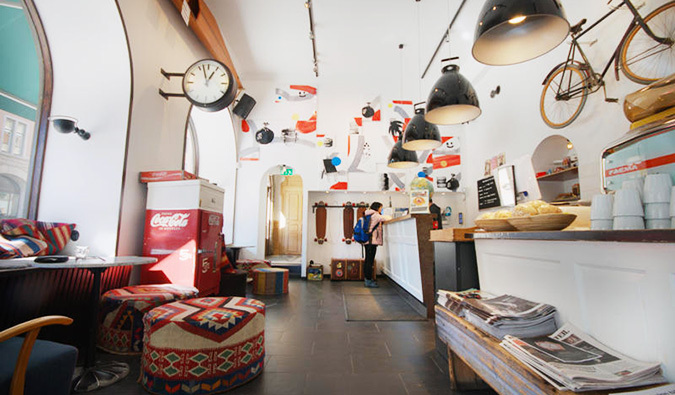 —> Book your stay at the Hostel Archi Rossi! With a view like this, how could you not like this place? There’s a pool here, kitchen, very clean rooms, and comfy beds. The owners are super friendly and accommodating, the porch area is a great place to make new friends, and every night they have a hostel get together so everyone can meet people (free shot included). They also organize pub crawls (because it’s Ios and everyone comes here to party). It’s also the most centrally located hostel on the island so it’s easy to walk home…even if you’ve had one two many drinks! —> Book your stay at Francescos! I think this place is a bit overpriced. Hostels in Germany are cheap and even by European standards this hostel is still cheap but I felt like they charged a lot because of the name. However, while the beds and bathrooms are pretty standard (all ensuite though!) 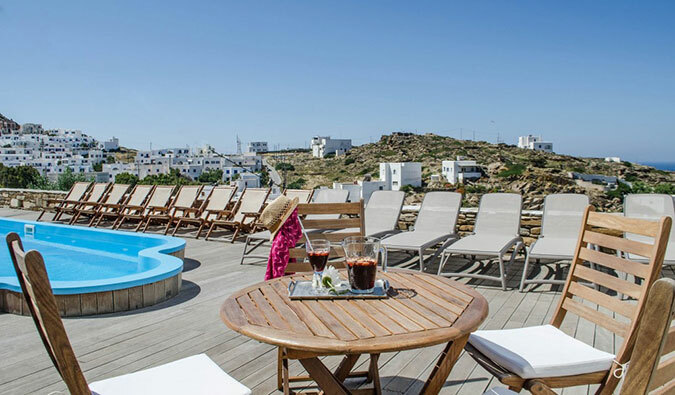 the rooftop terrace provides great views of the city. On a nice day, it’s amazing to just go stare at Berlin. —> Book your stay at Wombats! Close to the city center, this hostel is located in a very old building which means the rooms are small and it’s pretty inconvenient to take a shower as you have to go downstairs and then into the back courtyard. However, they have a back courtyard, free wi-fi, an amazing selection of Belgium beers (watch out for the 13% alcohol ones! ), and bikes. —> Book your stay at Snuffel Backpacker Hostel! 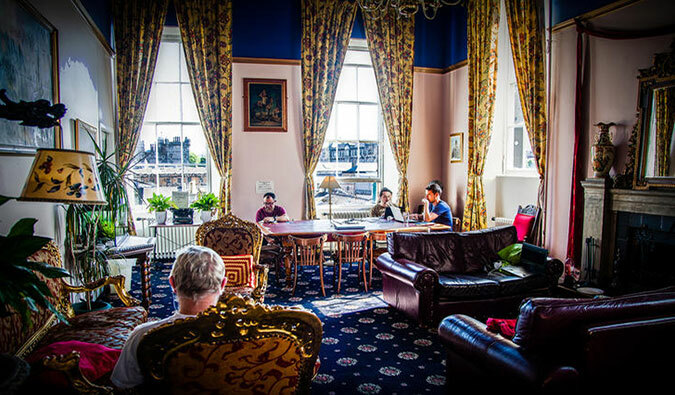 Located near the Royal Mile and (you guessed it) the castle, this hostel is gorgeous. The building is old so you get beautiful wood interiors, stone staircases, and a very “old” royal feel. It’s like being in an old mansion. The common area features pool tables, T.V., newspapers, and free wi-fi. They organize events, dinners, and the staff is really nice. —> Book your stay at Castle Rock! This more upscale hostel in Prague is one of my favorites. The room is quite modern with lovely bathrooms, comfy beds, and incredible water pressure. The bar is always lively, they serve a large breakfast, run lots of events, and the staff is super friendly, helpful, and knowledagble. —> Book your stay at Sophie’s Hostel! This awesome hostel is incredible staff, a great breakfast, huge common area, is centrally located, and really clean dorms and bathrooms. I had a lot of wonderful nights here. It’s a funky hostel with nice art on the wall. They have good kitchen area too! —> Book your stay at Hostel Blues! 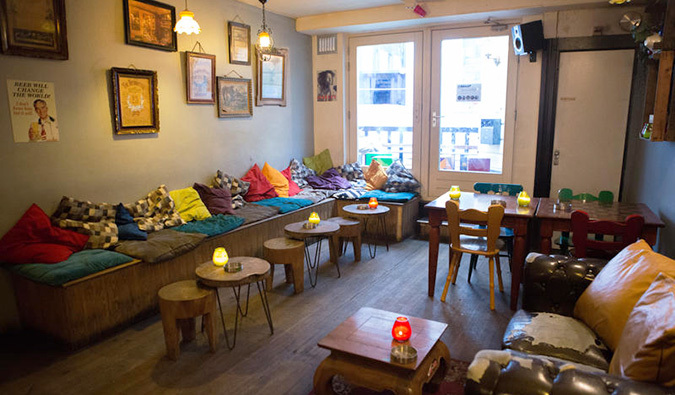 ***So there you have it: my current favorite list of the best hostels in Europe. Europe has thousands of hostels – and god knows I feel like I’ve stayed in all of them but only a few dozen are follow the guidelines that make a hostel truly great. These ones go out of their way to provide stellar services and make their guests feel welcomed and at home. Thanks for the list! We stayed at The Generator in Berlin and I have to say it wasn’t so great, although I’d heard good things about the Copenhagen one. I stayed at St Christopher’s Inn in Barcelona a few weeks ago due to an awkwardly-timed layover and was really impressed; I was afraid it would be cold and corporate but it was nice and cozy. I had no idea they opened up just this summer, but everything was, like you said, fresh and new. I also liked the curtains on the beds, which also had individual lamps and massive underbed lockers. The free breakfast buffet was healthy and substantial. Thanks for the other recommendations—I’ll have to look into the Gallery Hostel for when I end up going to Porto. Good call on Hostel Mostel, Sofia. Stayed a few times and have to agree it’s great; the value with all the free stuff is awesome. Haven’t stayed at the others, though, I’ll keep them in mind when I get back to Europe… Gallery hostel sounds right up my street. Was back at the Flying Pig in November after a first stay in 2013 definitely the place to stay in Amsterdam! My favorite hostel in Europe is Mosquito in Krakow but haven’t been recently. Have you travelled in Alesund and Bergen in Norway – if so can you suggest any great places to visit or things to do? Yay! We’ve stayed in 3 on your top list! Generator in Copenhagen is worth a stay just for the bar, so much fun we would cut our siteseeing short just so we could spend more time in the bar. Drinks are cheap (especially for Copenhagen) and awesome bartenders. Very fun! Felt secure with key cards to get into the building, elevator, and each floor. City Backpackers in Stockholm was great. Very nice kitchen and sitting room downstairs, as well as comfy couches in open air courtyard upstairs. I liked the idea of everyone taking their shoes off. We got a double room and it was quiet and private. SOOO convenient and walking distance to train station. Flying Pig in Amsterdam, not one of our favs. Even for Amsterdam seemed real druggy. Now always spring for a quiet BandB when in Amsterdam. I’m going to try and book your suggestions for Portugal and Spain for our next trip this spring. I like hostel reviews. 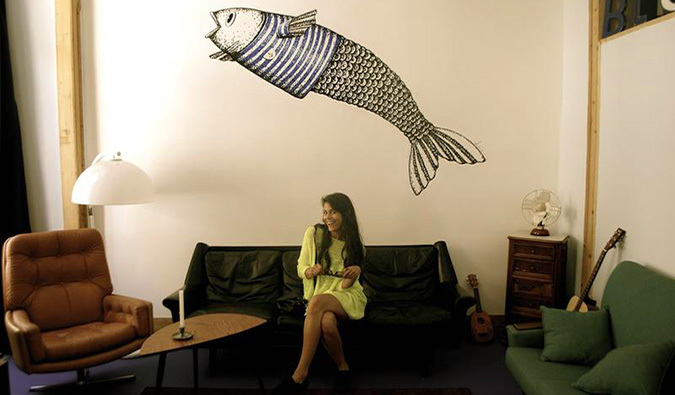 Hostels get vibes and personalities like major cities…. My two favs ever are Plus Florence & SafeStay London. 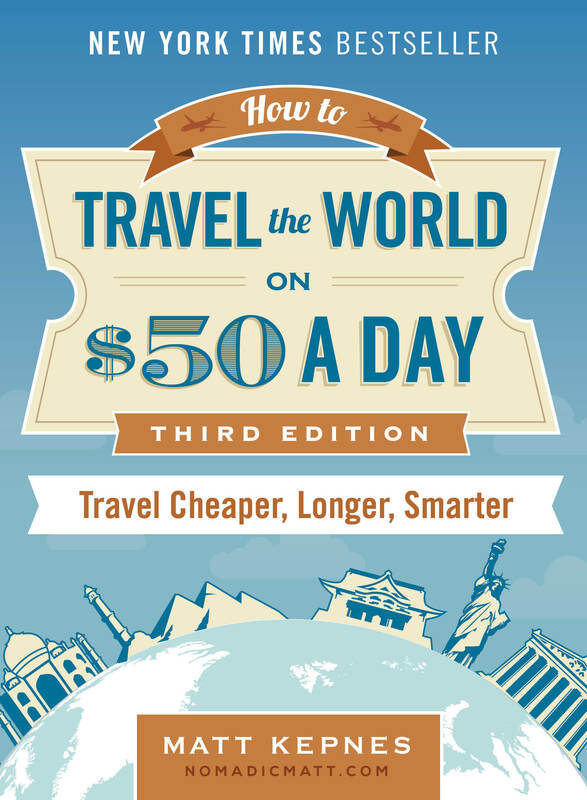 Hey Matt, I stumbled across your website and it’s been really useful for me- I’m planning on travelling during my gap year and am saving up for it. My original plan was just going to be a month teaching English in South America, a month in New Zealand and Australia (I have family and friends in both countries) and then travelling Europe (I have friends in Berlin, Salzburg and France but apart from that it’s hostels). However, I’ve recently become enamoured with the idea of seeing some more of South America and Asia and I know I won’t be able to fit it in- what do you recommend? I’ve got a year and a bit to go but I need to start looking at aeroplane tickets, etc. Are there any places you would recommend as must see? 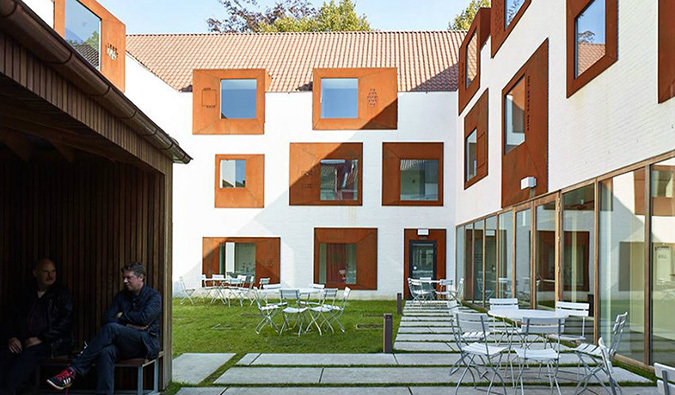 I also like Generators Hostels, especially the one in Copenhagen. Centrally located and incredibly large common rooms, including a movie room! I stayed at St Christopher’s in Paris. It was a great hostel with a curtain on your bunk bed and spacious rooms. I really Plus Hostels too as they all have a pool and sauna and a girls section too. I really like the St. Christopher’s chains, they’re always clean and its nice to have a bed with a curtain and its own charging port built into it. Sometimes having the Belushi’s bar attached can be more of a hassle then a blessing. Since its also the common area in some locations, it can get crowded when locals come in for sporting events. Overall though, a great brand to stay with. That being said, my all time favorite is still Carpe Noctem Vitae in Budapest. Its the best of the BPH network and though its not high tech or fancy, the staff are phenomenal and make you instantly feel part of the family. I extended to stay there just for the Thanksgiving holiday and I still regret not hanging around Europe long enough to return there for their amazing week of Christmas shenanigans. Best place to celebrate the holidays if you can’t be with your actual family. I agree with you. I like the bar but sometimes it’s a hassle. That being said, the hostel itself is wonderful. I love the hostel The Flying Pig in Amsterdam. The hostel is great and I met so many amazing people there. The St Christopher’s in Prague is awesome. It’s half hotel, half hostel. Great bathroom facilities and a pretty cool bar that often has live music. I’ve stayed there at least 10 times, love it! Hostel Mostel sounds awesome! I won’t mind if they charge a little more than the other hostels, because to not to think of what to eat is a huge deal.. plus to hang around with people who loves to get drunk and have a good time without leaving your place.. that’s just amazing. It’s a great place! Stay there if you get a chance! Hostel Mostel! Another vote there. Cool vibe, nice rooms. It’s in a huge building that formerly was an inn. They also give you free breakfast and dinner and a beer for the real cheapskate. These are so useful! especially need to go to Generator in Dublin 10 Euros a night is amazing. Just wondering what you would recommend in Paris? 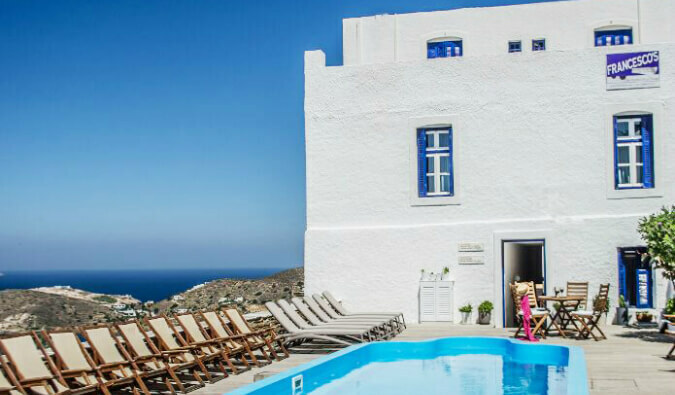 The cheaper accommodation always turns out so sleazy, but i’m going for a few days next month with a few girls on a tight budget so any recommendations would be great. What a great list! 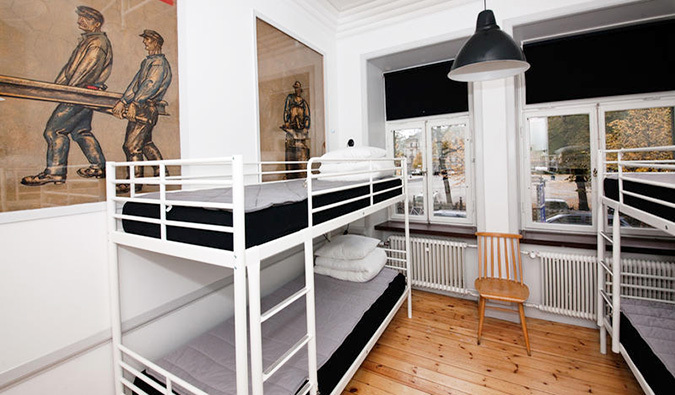 Your choices of favorite hostels in Europe is hard to beat, they all look great. I’ll be saving this list for future reference, thanks! Hi Matt thanks for the list, I really love the gallery hostel, I’ve never been to Portugal before but I will add that one on my list for sure. Just returned from a trip around Europe, didn’t stay at any of these, although I did stay at Interhostel which you mentioned in your article about Sweden on a budget, which was pretty nice. Would also recommend Times Hostel- Camden Place in Dublin and Sant Jordi- Sagrada Familia in Barcelona, have you stayed at any of the times hostel or sant jordi chains? Really appreciate your articles by the way, have been super helpful in gaining perspective, encouraging wanderlust, and planning trips! Next time you’re in Munich, check out The Tent Munich – it’s my all time favourite hostel; it’s only open during summer and the Oktoberfest period. I have travelled extensively and stayed at many hotels and hostels. Highly reccomended Levitt Smart Hostel, Sofia .it’s like everything at that hostel took a perfect pill. It was in the heart of Sofia,cleanliness of that hostel was outstanding.Great bar. Amazing location a lot of things are near by like restaurants, bars and all tourist attraction. There is no a human reception- only a robot speaks many languages and use facial and biometric recognation to protect the guests .Also you can access hostel doors by smartphone. There was nothing I didn’t like. Hi Matt, which of the flying pig hostels is better, uptown or downtown? I’m planning a trip to Budapest and have searched both hostelbookers.com and hostelworld.com for the Aboriginal hostel, but cannot find it. Is it possible that it changed names? If so, any idea what it changed to? Thanks for the great hostel recommendations!! It closed down! 🙁 I like the Big Easy! The Generator in Copenhagen has been one of my favorites as well (minus no breakfast)! Also really enjoyed the Flying Pig hostel in Amsterdam. Glad to know that you found these places worthy as well! I stayed a the Generator hostel in Berlin Mitte, it was my favourite hostel I have ever stayed at. It’s location is perfect and the rooms are far enough from the bar so you could get a good sleep. I am planning to stay at the location in Hamburg this spring and I am really exited. Wondering which hostels you’d recommend for families? YHA or HI hostels are always a good choice! I stayed at Wombat Hostel in Munich just a few weeks ago. It was a pretty clean, modern, spacious site and I liked their bar. You get a voucher for one small beer or wine when you check-in. It was very easy going to and from the train station, which was not even 5 minutes walking. I’ll check it out! Thanks! Great suggestions and they definitely don’t look like the typical hostel. 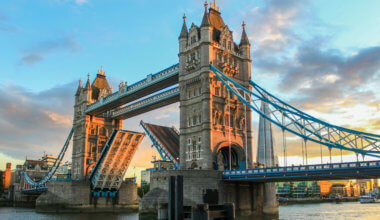 Any recommendations for central London, UK? my partner and I, we usually stay at generators hostel at Tavistock place. as a couple we book a private room, and get a small room with a bunkbed and a sink/ tap in the room. its fine for a weekend or so. done it a couple of times. it`s cheaper than hotels. showers are down the hall though, but ok standard. must pay for breakfast. the falafel shop down the street, and pizza house “ sophia” across the street are really good!! close to kings cross/ st pancrass stations. busses are good too if going to “west end-district” to the theatres. I stayed in Archi Rossi (Florence) and I can only confirm what you said: a great hostel with a wonderful breakfast!! Also stayed in Dopa hostel in Bologna and it was amazing!!! So small but really cozy and with a perfect location. I’ve stayed in the Central Station Hostel in Kiev for 3 days. Very good location, in the heart of Kiev, easy to reach on foot to all sights. This is a great list! I loved Tasso Hostel in Florence. There was live jazz music and homecooked italian food for 20€ on Saturdays. Would love to hear from you for a place to stay for a minimum 1 week from the 26th Nov onwards, in Heidelberg Germany. Any suggestions of hostels for three in a family. Can you recommend a Hostel in Paris that is closed to CDG train station. I have an early 7:45 am train to catch. I’ve stayed in Yellow twice in Rome. 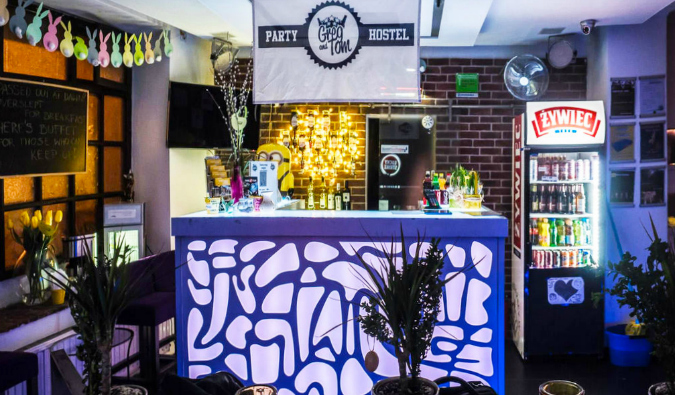 It’s a great party hostel with a public bar. They had an event/show running each night and the breakfast is great. They also have a good communal area a few levels above the bar with a kitchen and dining area and lounge room with widescreen and xbox.